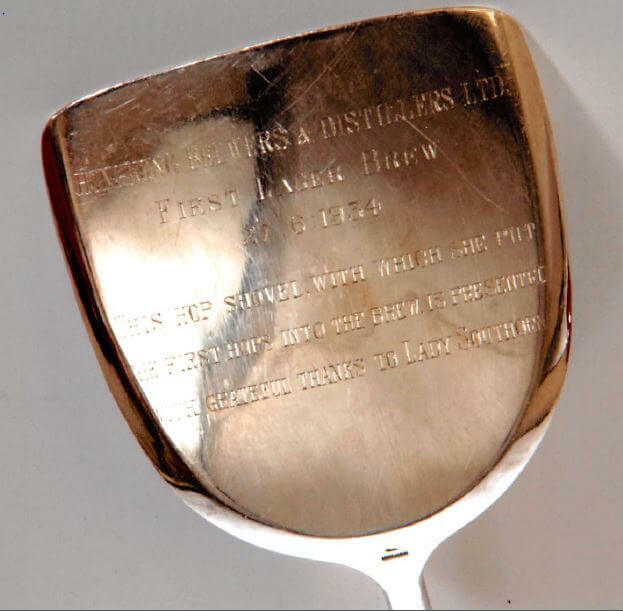 In 1965 Mary Esther Parker bought a sterling silver “hops shovel” at an antique shop in Fort Walton, Florida. 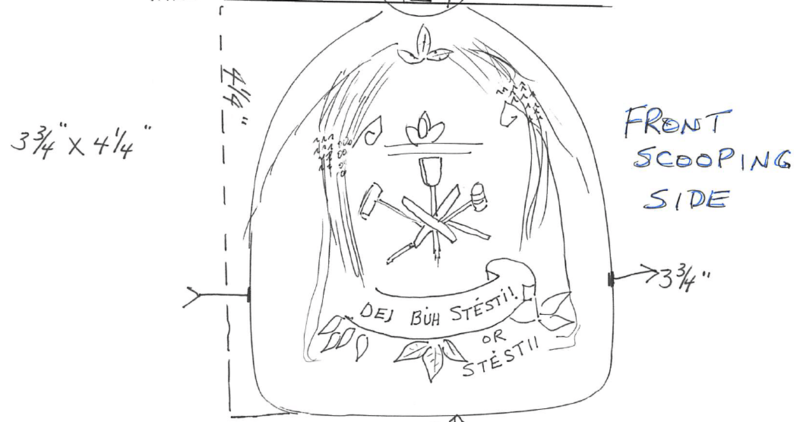 Mary says, “Dej Buh Stesti” is Czech for “May God grant luck and joy” and is known as a brewery greeting. 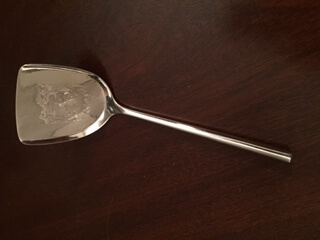 HF: Very many thanks to Mary for contacting the group and sending photos, sketches and a video of the shovel. It adds a lovely human touch to the somewhat dry world of industrial facts and figures. Some background information taken from our two articles on the Brewery, linked below. It was founded in 1930 by Jahangir Rottonjee and an opening ceremony was held in August 1933. 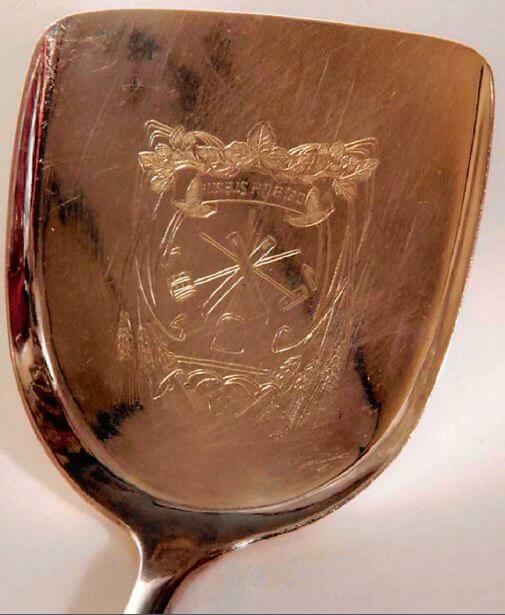 Why was Czech inscribed on the shovel? Well the equipment was to be supplied by the Skoda Works in Pilsen, Czechoslovakia, home, as the new company pointed out, to the original Pilsen lager, and Skoda was also furnishing an expert brewer. However, in early December 1935, it was announced that the brewery was going into voluntary liquidation. The following year, Ruttonjee incorporated a new firm under a similar name – the Hong Kong Brewery and Distillery – and bought the Sham Tseng brewery from the liquidators, again taking up the post of managing director. I can find no record of the ceremony at which Lady Southorn would no doubt graciously have thrown in the first lager hops. Indeed, did this event actually take place? Or was the shovel made, inscribed, never used and somehow made its way half way round the world to Florida and into Mary’s hands thirty one years later? Can someone take this story further? This article was first posted on 15th May 2015.